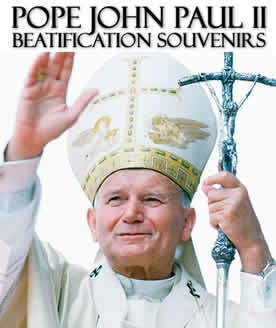 Pope John Paul II Beatification Gifts and Souvenirs! Pope John Paul II Rosaries & Pope John Paul II Rosary Boxes from The Vatican Library Collection, Catholic Medals, Pope John Paul II Coin Jewerly! Exquisite Catholic Jewelry & Catholic Gifts! 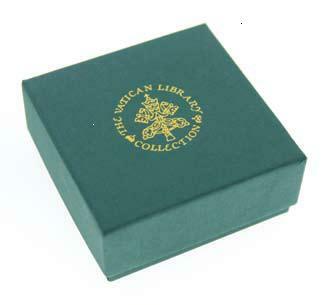 Presented in classic, green gift boxes with a gold embossed Vatican emblem. Vatican Jewelry comes with a FREE Catholic Rosary and a FREE Collectible Vatican Postcard! Free Collectible Pope John Paul II Postcard and Medal with Pope John Paul II Beatification Gifts!